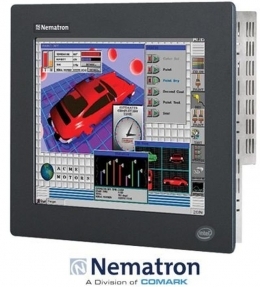 Ultra-Thin panel mounting depth, less than 3.2"
Panel PC 15.0 inch screen, Touchscreen, Intel Dual Core ATOM N2800 CPU, 4GB DRAM, 240GB SSD, integrated 100-240VAC power supply, UL/cUL Listed, CE, Windows 7 Pro. Panel PC 15.0 inch screen, Touchscreen, Celeron G3902E CPU, 4GB DRAM, 240GB SSD, integrated 100-240VAC power supply, UL/cUL Listed, CE, Windows 7 Pro. Panel PC 15.0 inch screen, Touchscreen, Intel i5-6442EQ CPU, 4GB DRAM, 240GB SSD, integrated 100-240VAC power supply, UL/cUL Listed, CE, Windows 7 Pro. Panel PC 15.0 inch screen, Touchscreen, Intel i7-6822EQ CPU, 4GB DRAM, 240GB SSD, integrated 100-240VAC power supply, UL/cUL Listed, CE, Windows 7 Pro.